Bad Day at Black Rock is a wonderful gem of a crime-drama featuring a fantastic cast from Spencer Tracy to Ernest Borgnine and Lee Marvin not to mention a taut screenplay and conspiratorial plot. 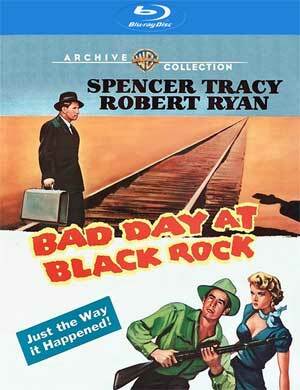 Folks in Black Rock have their own way of welcoming mysterious, one-armed stranger John J. Macready (SPENCER TRACY). He’s welcome to leave. Or they’ll make sure he leaves in a pine box. World War II veteran Macready keeps his own counsel about why he’s come to Black Rock and who keeps his wits about him when confronted with threats and violence. This release includes an Audio Commentary with Film Historian Dana Polan and the Theatrical Trailer (3:26; HD). 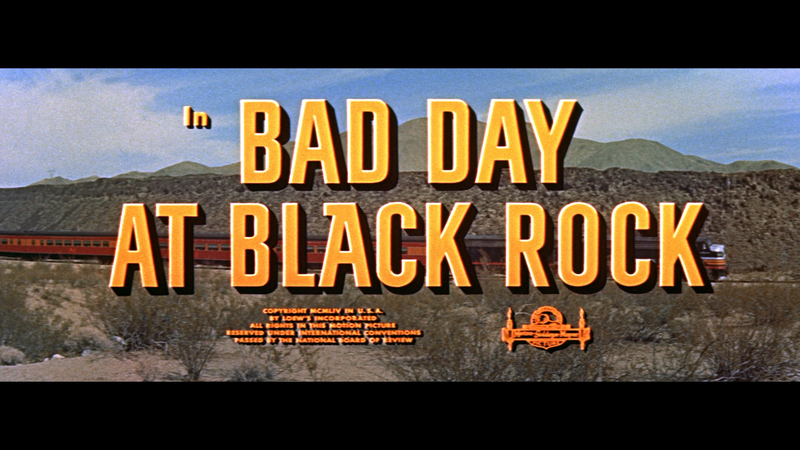 Bad Day at Black Rock debuts on Blu-ray through Warner’s Archive Collection presented in its original 2.40 widescreen aspect ratio and a 1080p high-definition transfer. The picture looks pretty darn good with sharp and well defined details and colors appear to be vibrant and full of life. The transfer seems clean, free of any noticeable or obvious dust marks, scratches or other film damage so the studio did a fine job with the restoration. The included DTS-HD Master Audio 2.0 is no doubt a nice upgrade over its DVD counterpart. This is a dialogue-driven movie with some decent depth showing off with the score by Andre Previn. 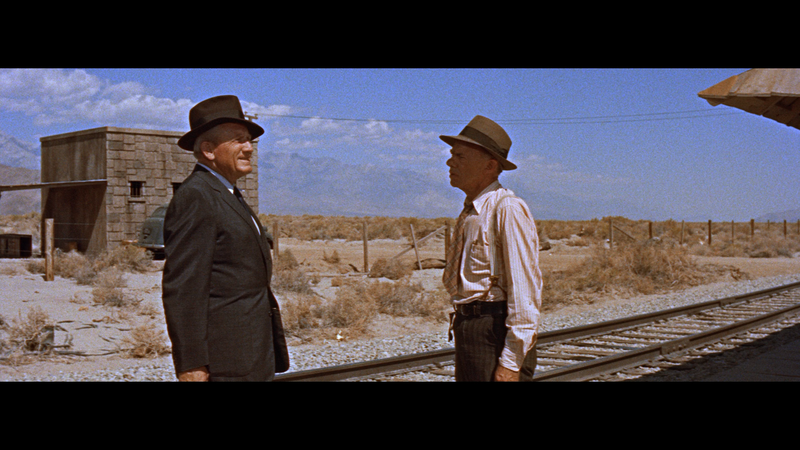 Overall, Bad Day at Black Rock is a wonderful gem of a crime-drama featuring a fantastic cast from Spencer Tracy to Ernest Borgnine and Lee Marvin not to mention a taut screenplay and conspiratorial plot. This Blu-ray released by Warner through their Archive Collection offers good video/audio transfers and an in-depth commentary track.